This is my second Rutherfurd book. I admit that I should bump this and give it 4 stars. The history is there, however, I just didn’t care for any of it…okay…I lied…I loved the start of the book and the Druids…after that I quickly lost interest and although I found a couple of the characters enjoyable, I never really connected or deeply cared about any of them. They were forgotten as soon as Rutherfurd stopped writing their names. There are some really fantastic historical writers out there that really know how to engage the reader with a mixture of facts and fiction. My favourites that come to (my) mind are, Cornwell, Penman, Follett, and now Rutherfurd. Just because I didn’t care for this book doesn’t mean that I don’t love Rutherfurd. OTOH, it’s refreshing to know that we, as individuals, can make change for future generations…even if they do not know our name or the sacrifices we made for them. 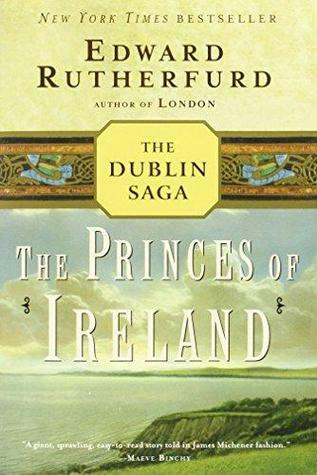 I can’t wait to dive into another Rutherfurd book, even if this one wasn’t to my liking.